Alnylam and Regeneron Pharmaceuticals are announcing a wide-ranging alliance this morning to co-develop treatments for eye and neurological diseases using RNA interference, a method of drugmaking that has recently come of age after years of ups and downs. Regeneron (NASDAQ: REGN), of Tarrytown, NY, will pay Alnylam (NASDAQ: ALNY) $400 million in cash up front and buy $400 million in Alnylam stock—4.44 million shares at $90.01 apiece—to kickstart the deal. Cambridge, MA-based Alnylam could get another $200 million in downstream payments from Regeneron if the drugs in the deal progress forward and hit certain development targets. Regeneron will get full rights to the drugs the two develop for eye diseases—the focus of Regeneron’s flagship drug aflibercept (Eylea)—with Alnylam getting future payments and royalties. Each company will get worldwide rights to half of the brain disease drugs that emerge from the partnership, with Alnylam and Regeneron alternating leadership positions with each new drug they develop. But each company will also have the option to split profits and development costs to the neurological programs for which they aren’t the designated leader. Alnylam and Regeneron believe there is a “significant opportunity for RNAi therapeutics as a potentially transformative approach for the treatment of serious [neurological] and ocular diseases,” CEO John Maraganore (pictured) says. The deal will help Alnylam “significantly accelerate our advancement” of these drugs, compared to what it could’ve done on its own. The companies plan to file papers later this year or in early 2020 to begin the first human studies from the partnership, Maraganore says. The deal also includes a smaller, third component: a commitment to co-develop RNAi drugs for a select group of liver diseases. That includes a plan to test combinations of RNAi and antibody drugs—the latter is Regeneron’s specialty—for diseases that impact the complement system, a family of proteins in the human innate immune system that help antibodies kill bacteria. One such combination consists of Alnylam’s cemdisiran and Regeneron’s pozelimab. Regeneron “recognizes that some diseases” like the rare paroxysmal nocturnal hemoglobinuria, “are better addressed with combination therapy” to improve upon existing treatments, Maraganore says. PNH is currently treated with bi-weekly infusions of the Alexion Pharmaceuticals (NASDAQ: ALXN) drug eculizumab (Soliris). The deal is a reflection of the progress Alnylam has made developing medicines that harness RNAi, a method cells can use to silence a gene before it makes a harmful protein. Since 2002, Alnylam, the RNAi field’s biggest company, has tried to use the method to make drugs, undergoing a series of ups and downs, clinical setbacks, and more before getting its first drug—patisiran (Onpattro), for the rare genetic disease hereditary transthyretin amyloidosis—to the finish line. The FDA approved patisiran last August, the culmination of 16 years of work for Alnylam. It took years to figure out how to deliver large RNA molecules safely and effectively into cells, and pharmaceutical companies fell in and out of love with RNAi along the way. But Alnylam survived, in large part, because of lucrative early partnerships—much like its Regeneron alliance today—that provided enough cash to weather the storm. After burning through almost $2.4 billion, SEC filings show, Alnylam finally made the transition to a commercial business. Patisiran generated $12.1 million in sales in the last few months of 2018. But other RNAi medicines are coming. Alnylam just announced plans in March to file for approval of a drug for acute hepatic porphyria, a rare liver disease. Others for hemophilia and high cholesterol are in late-stage testing. 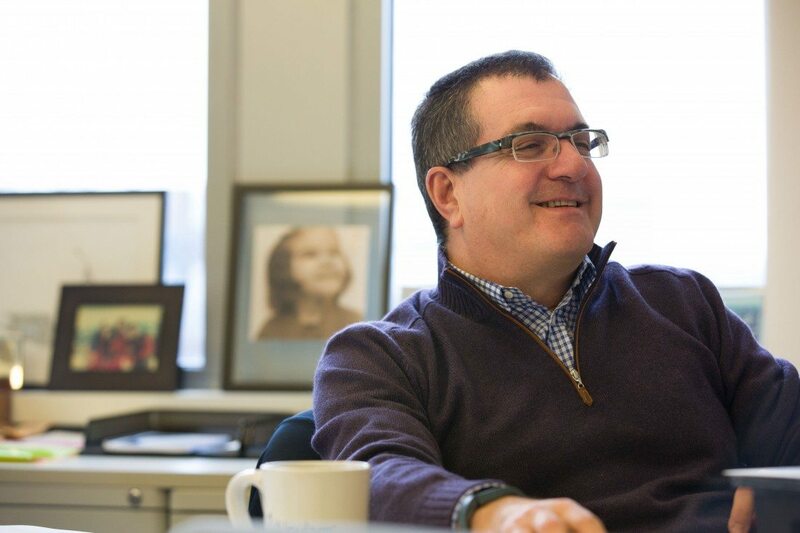 The key to Alnylam’s success has been tailoring its approach to delivering RNAi medicines to the liver, a large organ that can absorb the big molecules from the blood. 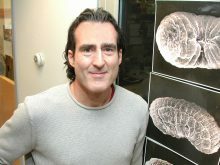 But in recent years RNAi research has begun branching out—as Nobel laureate and RNAi pioneer Craig Mello explained to Xconomy in 2017—and Alnylam has been broadening its ambitions. At a scientific conference in March, the company reported findings from animal studies showing it can get the molecules into tissues in the eye and brain and shut down certain genes. Other RNA-based medicines, like the antisense technology that Ionis Pharmaceuticals (NASDAQ: IONS) uses, have broken through in neurological disorders—the drug nusinersen, originally developed by Ionis and now owned by Biogen (NASDAQ: BIIB), is approved for spinal muscular atrophy and delivered through an intrathecal injection into the spinal fluid. Alnylam aims to prove it can get there with its RNAi drugs, and in some cases prove that it can be superior to antisense technology. Maraganore notes that a “long duration of effect will be critical,” however, so the treatments don’t have to be given very often. Alnylam announced its first neurological disease drug, for hereditary cerebral amyloid angiopathy—a deadly condition that can lead to dementia, stroke and other problems—in December. Alnylam and Regeneron will continue developing it, and eventually decide who leads the program, Maraganore says. Separately, Alnylam on Monday once again reshuffled a separate partnership with Sanofi (NYSE: SNY). As part of the move, Sanofi will be free to sell the Alnylam shares it currently owns. Sanofi held 9.9 percent of Alnylam’s shares as of late March, an SEC filing shows.